New Aluminum Shock Caps and Standoffs From Tekno RC! One shock cap for standard, vented and emulsion shock building styles! 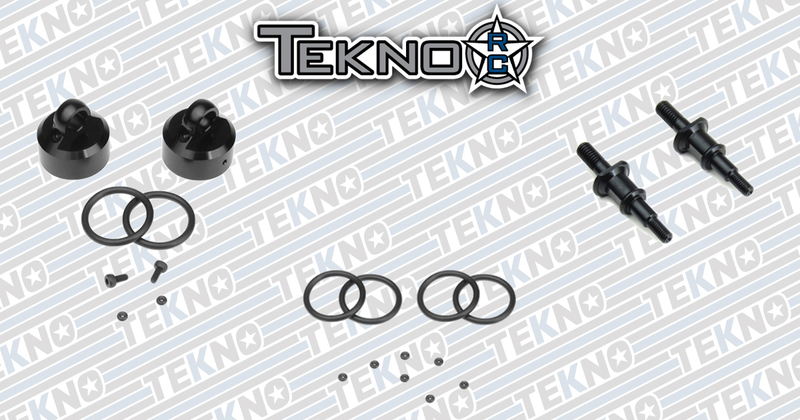 CNC machined from 7075 aluminum and black anodized, Tekno RC's TKR8702shock caps provide the utmost durability and flexibility when choosing your shock damping package. The included left and right side shock caps allow the cap screw to face toward the inside of the vehicle and the bleeder hole to face the rear, away from incoming dirt and dust. 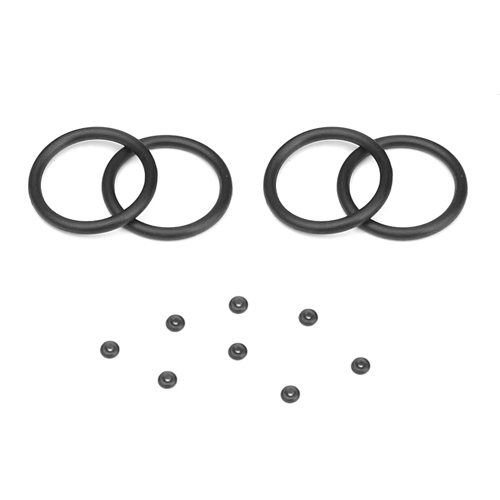 Replacement o-rings are available (TKR8725). 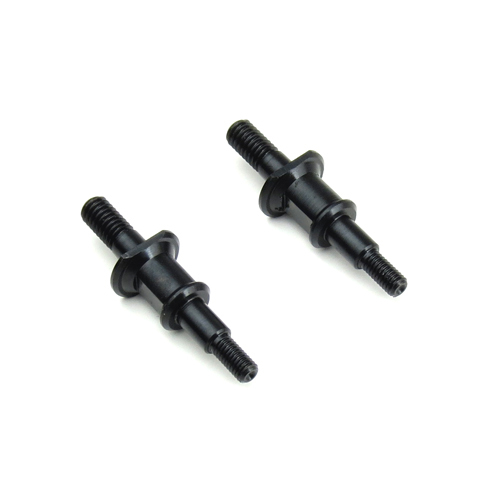 TKR8027 shock standoffs are a direct replacement for TKR5027 and intended to be used with TKR8702 and TKR6018 shock caps as they provide additional clearance between the shock tower and cap. 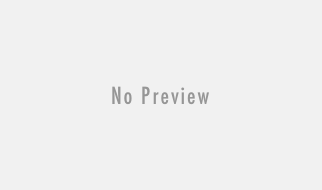 In addition to being slightly longer, they have more material to improve durability and are keyed for use with TKR1103 Turnbuckle Wrench (4mm / 5mm, hardened steel) for easy installation. 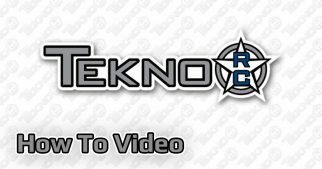 TKR8027 can also be used with TKR6003 and TKR6003B shock caps. 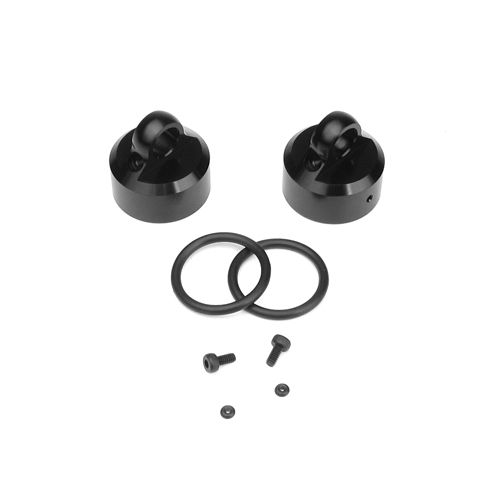 Package Includes: (4) emulsion o-rings and (8) small cap screw o-rings.